It is no surprise that there are critical changes taking place in healthcare in the United States, and this means equally big changes for healthcare real estate leases. Healthcare executives should not assume that their lease provisions are standard and essentially immutable. ‘Three Cs’ of healthcare leasing — Convenience, Consolidation and Compliance — are uniquely impactful to healthcare and healthcare leasing. “Location, location, location” remains a constant for all real estate users, including healthcare, and as healthcare practices expand to meet demand from the healthcare consumer, healthcare providers will enter new submarkets. Meeting that demand, leasing options have greatly expanded from traditional hospital campus medical office buildings to include subleasing at, for example, Kroger, Walgreen’s or CVS, or leasing space in traditionally retail centers and leasing stand-alone single tenant buildings. Because of these expanded options, American consumers have begun to factor in convenience when picking a healthcare provider. Healthcare executives can take advantage of retail sites, suburban availability and urgent care and emergency departments to tap into this convenience trend. But, unique issues will arise when expanding beyond traditional hospital campuses. For example, biomedical waste, utility usage and hours of operation all present challenges for traditional retail landlords that could create problems for healthcare tenants. Also, parking requirements and accessibility requirements may prove unworkable, and worse yet, some jurisdictions have zoning codes that restrict certain medical uses to medical-zoned areas. Before assuming convenience is simply a matter of going where the demand is centered, healthcare executives will need to do their diligence to be certain the locations are legally conducive to their healthcare services. The ACA forces accountability in the delivery of healthcare services. Providing for a continuum of care among specialty practices contributes to these efficiencies. Hospital systems continue to expand their brand and create economies of scale necessary to offset significant regulatory costs in part due to the ACA. Mergers and consolidations have increased nationwide throughout the healthcare industry. Regulators may question the efficiencies of proposed mergers and consolidations, but adjusting for new regulations and fitting into the new mold of accountable care organizations does appear to require greater efficiencies to succeed. From a leasing standpoint, this suggests larger leases and perhaps some significant turnover. Healthcare executives may also face space issues if constrained to existing hospital campuses. Even though they have been ‘on the books’ for years and in some cases decades, HIPAA, Anti-Kickback and Stark remain core regulatory hurdles that healthcare executive must navigate properly when negotiating new leases. Here are some considerations to keep in mind. HIPAA: In light of the Anthem Healthcare data breach, many may view concerns related to protected health information relevant only in the electronic context. However, many typical leases allow landlords, maintenance and janitorial staff relatively free access to leased office space after hours—this is a no-no with healthcare leases. Under HIPAA, typically, the tenant is the “covered entity” and the landlord is not. Therefore, the landlord often will seek to absolve itself of any obligations under HIPAA and as a result any breach may fall on the healthcare tenant’s shoulders. Anti-Kickback Statute & Stark Law: The Anti-Kickback Statute and Stark Law up the ante for real estate practitioners in the healthcare field, turning leasing mistakes into potentially substantial criminal and civil penalties. Stark Law prohibits physicians from referring patients for certain designated health services to entities with which the physician has a financial relationship. There are certain office space rental exceptions for certain office space rentals within the Stark Law. But generally speaking, Stark seeks to prevent inappropriate profiting from referrals among certain healthcare providers. Although there are circumstances in which only one of the two statutes applies, in general, leases by a hospital to a physician tenant must comply with both statutes. Leases outside medical campuses may, or may not, trigger compliance issues, depending on the ownership structure of the non-medical landlord. Either way, knowledge of the issues surrounding Anti-Kickback and Stark Law are crucial in any leasing scenario for healthcare leases. 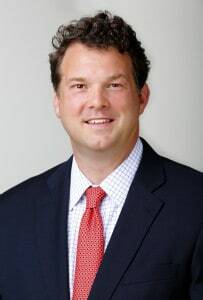 Brooks Smith is a commercial real estate attorney for Bradley Arant Boult Cummings. He regularly represents healthcare clients in all aspects of commercial real estate development, acquisition, disposition, leasing and financing. Connect with Smith on LinkedIn or through Bradley Arant Boult Cummings’ website.